We had hoped to sail at the inaugural Men On Boats session but the wind was just a bit too strong. 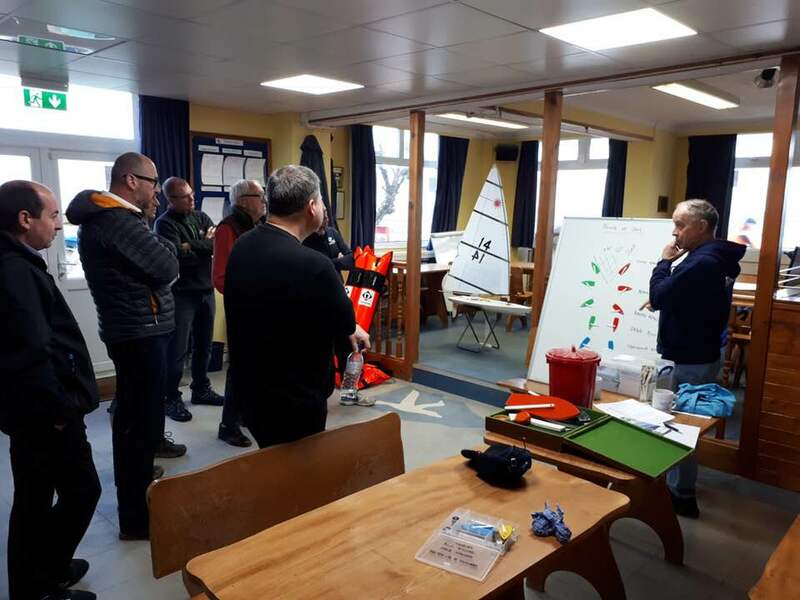 So there was a programme of Theory and practical organised which included Points of Sailing and sail setting. Paul Hemsley brought along his RC Laser and with a couple of desk fans we had an excellent demo of tacking, gybing and sail setting in every direction around the compass. Thank you Paul. Thank you too to Bea Ralph who came along to cook Shepherds Pie and thanks to Lesley Belton for baking a scrummy coffee and walnut cake.